Wow, wow, wow. This is fabulous. Our symphony orchestra, the Los Angeles Philharmonic (founded in 1918), is blasting into its centenary season in high style. It is converting its Frank Gehry-designed building, a happy pile-up of undulating stainless-steel surfaces, into a huge projection surface. Disney Hall will pop with crazy purples, blues, pinks and other psychedelic shades that would make Jimi Hendrix green with envy. 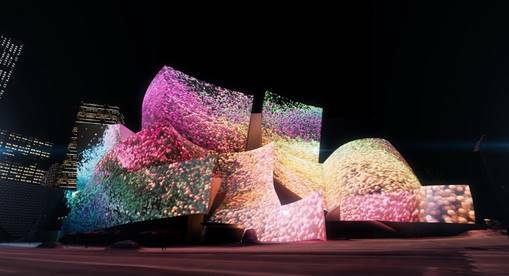 For one week, award-winning media artist Refik Anadol will inaugurate the LA Phil’s 100-year anniversary celebration with ‘shows’ of his breathtaking, three-dimensional projections onto the landmark building’s steel exterior. 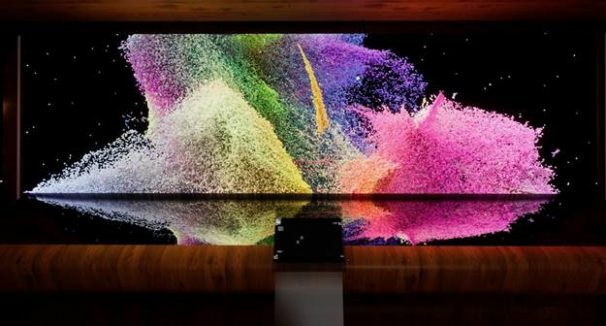 The projection show is comprised of a gabillion digital files — 45 terabytes of data — culled from the Phil’s digital archives, both sound and image. Using Google’s machine-intelligence tools, Anadol has applied custom algorithms to create a computerized “mind” to mimic how humans dream – by processing memories to form a new combination of images and ideas. The concept is to awaken the metaphorical “consciousness” of Walt Disney Concert Hall. Wake up, Concert Hall! The result is a radical visualization of the Phil’s first century and an exploration of synergies between art and technology, and architecture and institutional memory. The free light show will enjoy nightly performances scheduled on the half hour, with the first at 7:30 pm, and last at 11:30 pm. The imagery is highly activated for 12 minutes and then, for the next 18, it moseys at a slower pace. Take your camera and go! But don’t stay outside. Inside Walt Disney Concert Hall, visitors will be able to immerse themselves in a companion installation in the Ira Gershwin Gallery.